While Stickybun is a relatively young band, the musicianship on its debut EP, "Heatin' Up," makes it clear these players weren't born yesterday. The local funk rock band came together in winter 2016 after bassist Shawn Rotolo and singer-songwriter Aaron Shewan turned their weekly jam sessions into a project with drummer Ian Shoenberger. The group later added Joshua Meyer on trumpet and Will Zimmer on trombone. Stickybun fires off with syncopated guitar riffs, echoed by punchy brass lines, on high-energy tracks like "Boomerang" and "Stickybun Song." All the songs use abstract and not-so-serious lyrical concepts as metaphors for subliminally existential topics, while the use of modulations in the music keeps the listener pleasantly surprised. The EP paints a picture of sauntering down a boardwalk on a hot summer day, thinking you're the coolest person in town — and actually being the coolest person in town. While the timbre of Shewan's voice sounds almost too clean compared to the instruments, it cuts through the mix with a fun and easy-going vibe, kinda like Daryl Hall. 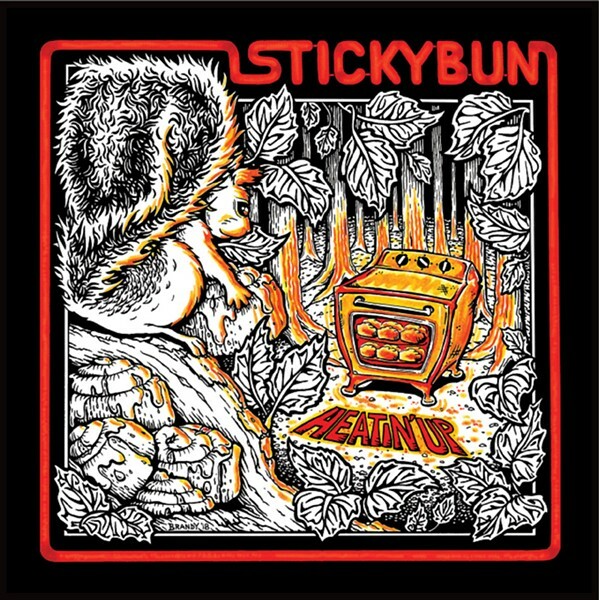 Stickybun whips up funky rock music that's light-heartedly mischievous, with a golden crust that turns buttery smooth when you bite in.